Visit the Northwest Lexus Tire Centre. Your safety is riding on it. When it is time to talk tires, you’ll see options around every corner. But only the Lexus Tire Centre at Northwest Lexus offers leading edge tire technology at competitive prices along with the exceptional service and expert knowledge of your Lexus vehicle. Lexus recommends that tires be inspected every 6 months or 8,000 km and rotated as required. Early and regular tire rotation is one of the best ways to extend the life of your tires and enhance your vehicle’s handling, ensuring that tread wear is even across all four tires. Maintaining correct tire inflation pressure provides many benefits. 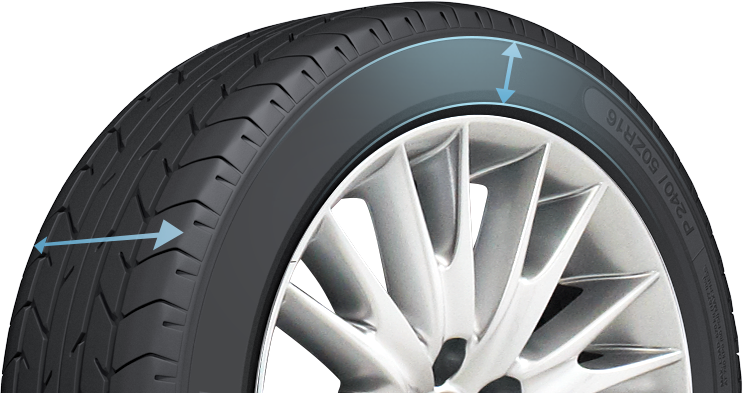 It helps optimize driving performance and fuel efficiency; it allows drivers to experience tire comfort and reduce road noise; and it stabilizes the tire’s structure, helping to maximize the life of your tires. The Tire Pressure recommendation is found in your Lexus Owner’s Manual, on a label affixed to the driver’s door pillar or inside the glove box. Advanced or unusual tread wear can reduce your tires’ ability to grip the road, especially in adverse conditions. 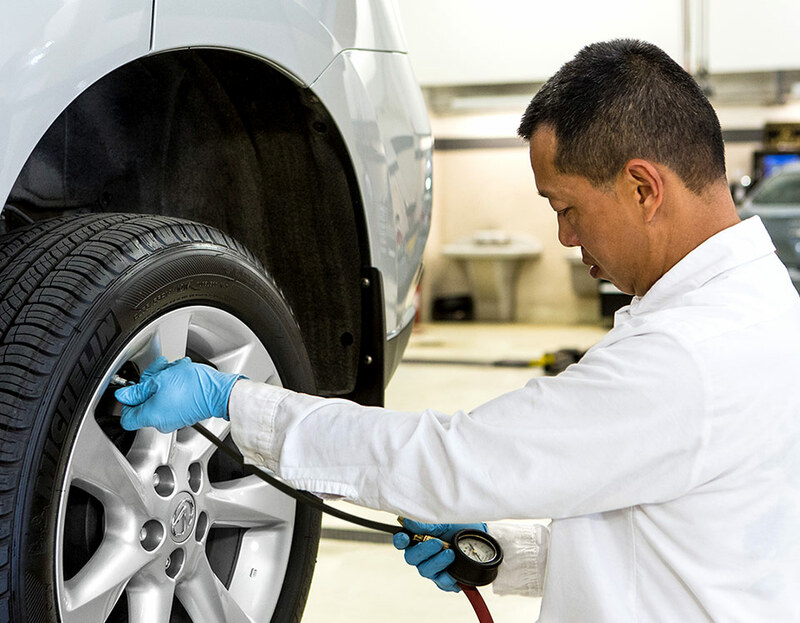 Northwest Lexus regularly checks tires for damage or uneven wear and measures tread depth. If Tires are worn to the manufacturer’s limit – 1.6mm (2/32″) All-Season and 4mm (5/32″ Winter – or to the visible “wear bar” (small, raised strips of smooth rubber), Northwest Lexus can recommend replacement tires based on your vehicle and driving habits. 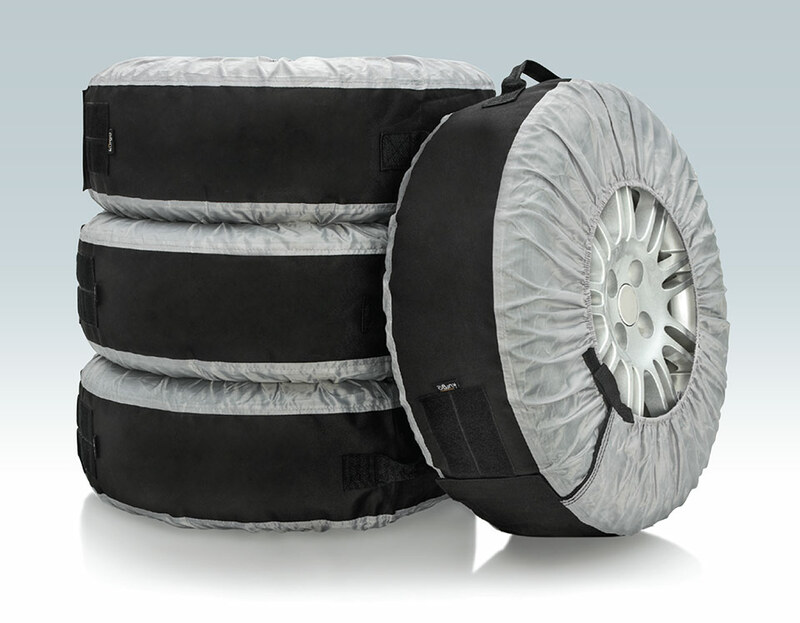 Tires will age naturally, but you may be able to prolong their life through proper storage. Off-season tires should be stored flat, in a cool, dry location. Store them out of direct sunlight to minimize the impact of ultraviolet rays and heat, and away from electrical motors or machines that may emit damaging ozone. Northwest Lexus may offer convenient Storage service, holding your Tires during the off-season and re-installing them during maintenance visits. When your Lexus vehicle was designed and built, the engineers and product planners carefully selected a tire size, considering many factors, like performance, safety and fuel efficiency. 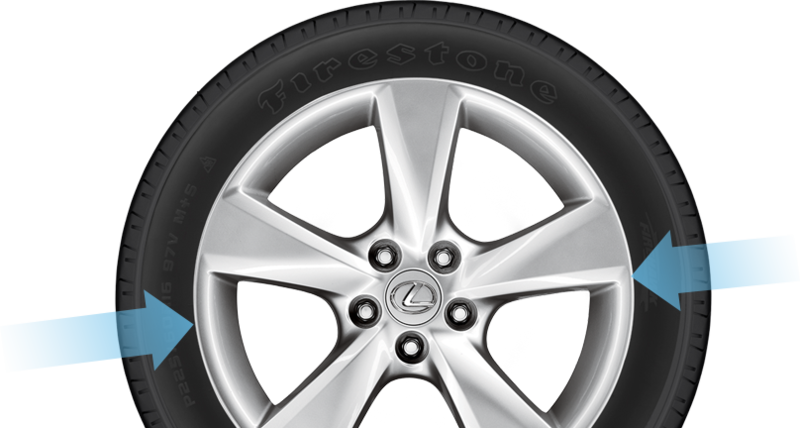 Lexus recommends that you select the original equipment tire fitment when selecting winter or replacement tires. A Passenger car tire in P-metric sizes. Tire sizes without the “P” may also be made for passenger cars, but they are “European” metric sizes and may have different load ratings or speed ratings than P-metric tires. Aspect ratio, indicating the height of the tire as a percentage of the width. In this case, the tire would be 94 mm (235 x 40%). High performance tires usually have a lower aspect ratio (below 55%) than other tires because lower ratios provide better stability. When turning, cars generate lateral forces that the tires must resist. 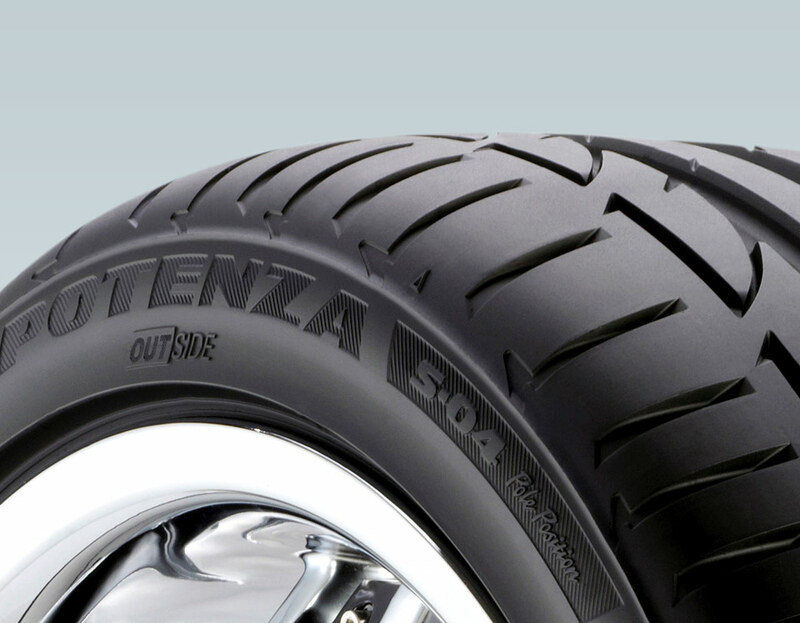 Lower profile tires have shorter, stiffer sidewalls so they resist cornering forces better. Radial construction, indicating that the plies that strengthen and reinforce the tires radiate out at a 90 degree angle from the centre of the tire. This improves fuel economy in comparison to bias-ply tires, whose plies are at a 60% angle. The diameter, in inches, of the wheel that this tire can be mounted on, regardless of whether the tire is mounted on a steel or alloy wheel. The Load Index is a standard that applies to all tire manufacturers, classifying tires according to their load-carrying capacity, or how much weight they can support at maximum air pressure. In this case, a load index of 99 corresponds with 775 kg. Load indexes of the tires used on passenger cars and light trucks usually range from 80 to 110, corresponding with weight capacities between 450 and 1060 kg. The Speed Rating indicator, established to match the speed capability of tires with the top speed capability of the vehicles to which they are applied. The letter corresponds with a maximum speed rating, in kilometres per hour. Popular ratings on Lexus vehicles include: S-180km/h, T-190km/h, H-210km/h, V-240km/h. Despite the capability of the tires to operate at high speeds, Lexus vehicles should not be operated in excess of legal speed limits. Everyone has different criteria for selecting tires, from wet weather traction and long tread life to quiet ride and firm grip in ice or snow. The experts at Northwest Lexus Tire Centre are pleased to assist you in finding the tires that fit both your Lexus automobile and your varied requirements.